I am a complementarian. This means I believe that while men and women are both created in the image of God and are equals in value and worth; they each serve a different function. In the home, the husband has been given the authority (headship) to lead his wife whereas the wife was created to help her husband and follow his leadership (submission). I believe the authority and submission in the home, pictures the relationship between Christ and His church. I also believe this was God’s original design; a pre-fall masterpiece, not a post-fall disaster. I am encouraged by the large resurgence of complementarians and the numerous biblical scholars who defend this truth. They uphold male authority and female submission in the home and believe the office of elder (pastor) is for men only. Within complementarianism, I hold to what is now a minority position. I believe that the functional difference between men and women should be symbolized to both men and angels when the church gathers together for worship. Yes, I believe that head covering (as taught in 1 Corinthians 11) is a timeless, transcultural symbol for Christians under the new covenant. With the rise of feminism, egalitarian thought permeated the church, popularizing the belief that men and women serve no functional difference in the home. The man does not have a God-given responsibility to lead and the woman does not need to submit to her husband. Within the church, all offices are open to women. In recent history, complementarians have fought to restore the biblical roles of men and women. The Council for Biblical Manhood and Womanhood was formed in 1987 and men such as Wayne Grudem have spent much of their life responding to egalitarian objections. I am grateful for and supportive of these efforts. When it comes to head covering however, complementarians (in large) have not sought to restore it. Complementarian leaders such as Wayne Grudem, Thomas Schreiner and John MacArthur have argued that while the principle of male headship continues, the symbol of head covering was a cultural practice. One issue that concerns me with this view is the very argument for male eldership (the pre-fall creation order) is the same argument given by the Apostle Paul for head covering. Before we examine the next verse I want to challenge my Complementarian friends. I know the arguments you use for male eldership & husband headship. I agree with you fully. In 1 Timothy 2 it explains why a woman cannot “teach or exercise authority”, doesn’t it? Paul says why women must have a have a symbol of authority on their head: because of the created order. While I understand that many complementarians would object to marrying principle and symbol together here, we must remember that the head covering is the imperative (command) of the text, not the roles of men and women. The principle of headship is what Paul wanted the Corinthians to understand (1 Cor 11:3) but it’s the actual practice of head covering that he wants them to do (1 Cor 11:4-6). Because of this, I believe the simultaneous acceptance of complementarianism and rejection of head covering is inconsistent. Most of us hold to at least some inconsistent beliefs. I’m thankful that we often don’t follow the harmful ones through to their logical conclusions. My concern however is that future generations will see the inconsistency and abandon Biblical manhood and womanhood. What complementarians do with head covering will be the test. I have this same concern for complementarians who reject head covering. Unfortunately, it’s not a hypothetical concern. …I have grown to see that my own treatment of, say, I Timothy 2:9-15 has not always reflected a sensitivity to the points made in an egalitarian exegesis of this passage. For example, I used to think that Paul’s mandate here is obviously trans-cultural because it is rooted in his doctrine of creation. Then I realized that Paul’s instruction about head coverings in I Corinthians 11 (which I have always accepted is culturally conditioned) is also rooted in creation. There is no reason in principle why exhortation grounded in the doctrine of creation must necessarily be trans-cultural. I’m concerned many more will also see this inconsistency and instead of embracing head covering, will leave behind complementarianism. 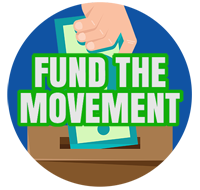 It’s not too late to make a change. If we restore the practice of head covering, I believe complementarianism will be embraced by more and will increase its longevity throughout future church history. The Lord’s supper was given to us as a picture and a reminder. When we partake of it, it reminds us and causes us to think about what Jesus did for us on the cross. In a similar way, head covering is a picture and a reminder to the gathered church. It reminds us and visually teaches us that God has designed men and women to fulfil a different function. At the Head Covering Movement we hear from women regularly who after embracing this symbol, are more vividly reminded of this truth. So to my complementarian brothers and sisters, will you devote some time to thinking through this issue? Will you with an open mind, listen to the best case for the timelessness of head covering and consider thoughtful responses to common objections? My hope is that you will, because more than a symbol is at stake. First, read 1 Corinthians 11:2-16 (this passage is where head covering is taught). Second, please read “An Introduction to a Neglected Doctrine“. This is a great intro to the topic that deals with the most important part of the debate, our hearts. Third, allow us to present to you a positive case for head covering. 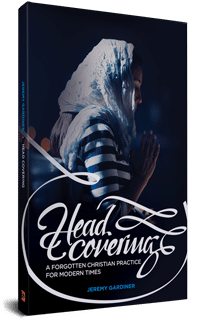 -If you’re a listener, download this sermon series by Milton Vincent on head covering. -If you’re a reader, start reading through the positive case: Creation Order, Angels, Nature, Church Practice. Lastly, here are a few articles I’d like to recommend that deal with popular objections. Men are meant to submit as well. I don’t know what is understood in this essay by “authority,” but the saying which goes like this: “Man is the priest of the family” is found nowhere is the Scriptures and is unbiblical.” I am not saying it is what you meant, I am just pointing it out. This is for men submitting to their wives in the Lord Jesus Christ as well. Believers need also to submit to one another as well. Your discussion of Jesus’ authority as Head (Ephesians 1) is dangerous as you spliced it together with John 15:15. Two different contexts. So, even though Jesus calls them friends, and he washed their feet, they knew who the ultimate authority was. In the context of Ephesians’ argument, the mutual submission mentioned is 5:21 is outlined in the verses that follow; that is, what follows flows out of being filled with the Spirit (v. 18) which produces all of the things listed in vv. 19-21, and v. 21 acts as the link between what came before, and what follows after. So then, what does Spirit-filled, mutual submission look like? Paul answers: wives submit to your husbands, husbands love your wives (sacrificially as Christ sacrificed himself for His church! ), children obey your parents, fathers don’t provoke your children to anger, slaves obey your masters, and masters treat your slaves with respect. That is what mutual submission looks like when does as to the Lord. The stress of not only authority but also repercussions of abusing that authority and servant-leadership falls on the man’s shoulders first. The discussions of 1 Peter don’t start in submission. They begin after serious discussion of cleansed people of God no longer “conformed to the passion of your former ignorance” (1:14) since we have been ransomed by the blood of Christ, now a purified people who are born again (1:22-23). With that in mind, Peter spend most of the rest of the book outlining what submission looks like to government, in family life (whether or not the husband believes! ), and church life, all this despite the sufferings these people were experience and would continue to experience (a blessing! cf. 4:16) And that submission by the leaders is experienced as they love their flocks, not lording over people and looking to selfish gain. This structure is in accordance with obeying the Gospel of God, done by faith! (4:19). Traditions have been delivered (1 Cor. 11:2-3). So long as we live between the “already” and “not yet” of the kingdom of God, there are structures in place, recovering the good design of God before man’s fall. Jesus being the disciples’ friend, tell us of what is the meaning of authority in a Church context. Authority has often been interpreted as one person deciding what is best for everyone. There is a synergic relationship between Jesus and the Church as their is between an husband and a wife. God is the one to which everyone should ultimately submit, which means that a wife should certainly not “submit” to her husband if he ask of her to act in contradiction with the Word of God. When Paul is speaking of submitting to one another, this is what he had in mind: this synergic relationship. Christ died for the Church, he sacrificed all he had and what he was for the Church in submission to his Father’s will. If Jesus had disobeyed God’s commandments and God’s will, then the disciples shouldn’t have submit to him. Paul is more subtle that one may think and the relationship between a husband and a wife goes deeper that simply ranks of authority. “Authority” in a Church context is not the same as “authority” as it is understood in the world around us. Now, Paul is comparing husbands to Christ in a sense in terms of authority. Paul did it in purpose to explain what he meant by authority. This is a high standard Christian husband are expected to go by. Unlike Christ, they cannot claim to be sinless, though. VERY well written and argued. I feel this will speak to my parents and family. Thank you. You don’t adequately deal with Oster’s points of the article you sight nor even mention his other work “when men wore veils”. That it happened in non-Christian worship does not mean newly converted roman Christians would have continued their way of expressing piety in worship to God. Paul is not even correcting, but commending in 2-16 (see the transition verse 17). You cannot realistically establish that the practice of head covering was an apostolic command in every cultural context that the gospel was proclaimed in. Why men take off their hats/caps in public prayer meetings? Is that cultural? We can’t take what we like and cut off what we don’t like from the Bible! I’ll tell you what, as soon as my husband loves me as Christ loves the church, I’ll start wearing a hat. I suppose that is supposed to be clever but if you look at the passages in Ephesians 5 which you seem to be rejecting you will find that the submission of wives to their husbands is not dependent on husbands loving their wives as Christ loved the church. Submission to your husband is a sign of your obedience to Christ, not your obedience to your husband. Likewise I am called to love my wife as Christ loved the church without qualification, so even if my wife refused to submit to me I am still to love her in that way as a sign of obedience to the commands of Christ. Paul says: You who are husbands are to love your wife this way. You who are wives are to submit to your husbands. Never does he qualify either by making it reliant on the actions of someone else. I don’t get to fail to love my wife and excuse it because she doesn’t submit to my headship (for the record she does and she also covers her head in obedience to the commands of Scripture). I’m not wanting to stick a spoke between the wheels, but as a lay theologian I must say I have not heard anyone mention that Paul did not write in chapter or verse as is represented in our Bibles. To divorce the topic from the context of the previous verses (in our “chapter 4”) is to bind ourselves and put blinders on our view of God’s self-revelation in Scripture. Submission between believers is a matter of fact, prior to any engaging in discussion about what goes on between a husband and his wife. Aside from the context in Scripture, many readily divorce the Bible from its original historical context as well. At the end of the day, Paul’s comments from Romans13 and 14 must not be dismissed either. At each moment, we must resolve to submit to God that whatever is not of faith is sin, and that we are not the judge of our brother or sister’s standing before the Lord. I’m thankful to join in the conversation and look forward to looking at this more, here and in my contemplative study. BTW, my wife delights in wearing scarves and hats. PS. A wife can wear a head-covering and yet still not submit to her husband. I don’t think submission involves a disciple gritting one’s teeth in angst. just because I love a good debate…..I question why men do not read the message in its entirety…..
1 corinthians 11: 15 But if a woman have long hair, it is a glory to her: for her hair is given her for a covering. (1) His objection (or argument?) fails because he’s missing Paul’s point in 1 Cor 11. Paul isn’t saying that “authority/submission is true therefore wear head coverings, women.” Paul is arguing for the temporal, cultural expression of submission, whatever that may be, because authority/submission is true (ladies, don’t look like a man). There’s a disconnect between (a) creation-order as the basis for it and (b) the symbolic or visible manifestation of that in a culture. He doesn’t prove that head coverings are the timeless, ultimate expression of that (head coverings are not the symbolic essence of submission). It is, however, currently the expression of it in the Middle East, though. If we had a church there, no problem then. It’s the same reason I use to ague that women should take their husband’s last name—because of the creation order and that’s what submission and unity are in *our culture. But that doesn’t apply to Mexico where they always have a combination of their mom’s maiden name and dad’s last name (i.e., Lopez-Nava). This guy can’t take my argument (“it’s rooted in creation”) and prove my last-name argument for every culture—–you have to establish *why this *particular outward expression is rooted in the creation order, and he doesn’t do that. (2) His other point about “America stopped due to the feminist movement” doesn’t go back far enough. Why did America do it in the first place? A: Bad exegesis. It never would’ve started were it not for bad bible study. (3) He only argues for it in church, though? Why not at home or at Walmart or at work, etc.? Why not force the symbol in all of life, not just at church? We’ll end up like the Muslim girl at Abercrombie who took them to court for firing her due to her head covering. (4) Re: “[head covering] reminds us [at church] and visually teaches us that God has designed men and women to fulfil a different function.” That’s what long hair is for, wedding rings (=our day), godly, chaste, and modest conduct, etc. There are other ways to show submission. (5) Did he miss this part?? “If anyone is inclined to be contentious, we have no such practice, nor do the churches of God” (1 Cor 11:16). The symbol takes the backseat. The symbol isn’t the essence of the issue. The key question here is whether Paul is saying that creation dictates a head covering or that creation dictates that we use culturally appropriate expressions of masculinity and femininity, which just happened to be a head covering for women in that setting. We think the latter is the case. The key verses are: “Judge for yourselves: Is it proper for a woman to pray to God with her head uncovered? Does not nature itself teach you that if a man has long hair, it is a disgrace to him, but that if a woman has long hair, it is her glory? For long hair is given to her as a covering” (1 Corinthians 11:13-15). How did nature teach that long hair dishonored a man and gave women a covering? Nature has not endowed women with more hair than men. In fact, if nature takes its course, men will have more hair than women because it will cover their face as well as their head. There must be another way that nature teaches on this subject! We believe custom and nature conspire in this pedagogy. On the one hand, custom dictates what hair arrangements are generally masculine or feminine. On the other hand, nature dictates that men feel ashamed when they wear symbols of femininity. We could feel the force of this by asking the men of our churches, “Does not nature teach you not to wear a dress to church?” The teaching of nature is the natural inclination of men and women to feel shame when they abandon the culturally established symbols of masculinity or femininity. Nature does not teach what the symbols should be. When Paul says that a woman’s hair “is given to her for a covering” (v. 15), he means that nature has given woman the hair and the inclination to follow prevailing customs of displaying her femininity, which in this case included letting her hair grow long and drawing it up into a covering for her head. So Paul’s point in this passage is that the relationships of manhood and womanhood, which are rooted in the created order (1 Corinthians 11:7-9), should find appropriate cultural expression in the worship service. Nature teaches this by giving men and women deep and differing inclinations about the use of masculine and feminine symbols. Hi Kyle, you’re right that creation doesn’t dictate a head covering but neither does creation dictate that women can’t preach. Stay with me. I believe Paul’s argument is that because one is a symbol of authority (1 Cor 11:10) and the other is an exercising of authority, the creation order directly speaks to both issues. Excellent points both in the article itself and your response here. The flaw in the culturally appropriate argument is that there isn’t an equivalent to headcovering. Some have argued for wedding rings but that a) doesn’t denote submission and b) is worn by all sorts of people including now the spectacle of two “married” men wearing bands. Disagree that nature doesn’t teach the covering. Paul chose hair specifically because it literally is a covering. Second it is only his secondary line of defense. He teaches and commands it based on his apostolic authority first and foremost and delivers it as a tradition to be observed in all churches. What you state about nature only being the natural inclination of men and women to feel shame when they abandon culturally established symbols is a bit of interpolation and eisegesis at best. Why not just accept the simple plain meaning, why this dance to go around the subject and provide an escape? Whence this desire in the first place to question and escape this verse? I think it is clear to see this comes about through the cry of women and and perhaps even some men and leaders who do not want to deal with or face opposition on this matter. 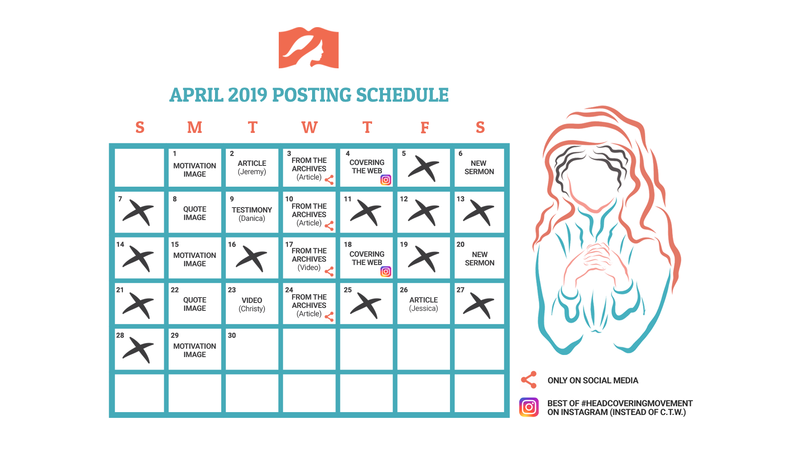 Lastly you provide a link with the title ” Why is the head covering not binding today….”, Who decided that this is not binding and when was this meeting and by what apostolic authority was an apostolic tradition abolished? Was it the people following their leaders or the leaders having no choice but to follow the people and then make interpretations to suit them? Mennonites never got that notice and still wear a headcovering and think it is binding just like the Lords instruction not to divorce and re-marry. Many don’t think we have to follow that one anymore either. So why are these things no longer biding? Simply because we decided to stop believing and obeying them? and then the books followed justifying it. I believe one of the keys to understanding this issue is Paul’s statement “For it was not Adam who was decieved…” in 2 Tim. 2:12-14. I have yet to see a Complementarian adequately come to terms with this. The simplistic assumption is that Paul roots his arguments in creation, therefore his teaching is normative for all times and places, as it stands. The problem is, Paul does not simply report what ened. Is it really true that Adam was not decieved, and Eve was? Of course not. Eve was decieved first, then Adam. There is something about the account of the fall besides a simple Eve was/Adam was not dichotomy that Paul wants us to consider. I believe the solution to this is also the argument that gives greater valdity to an Egalitarian position, something like what Grant Osborne defends. woman for man” (1 Cor 11:8-9). Even the Trinity (11:3). Completely self-contrived. You didn’t get that from any text. Ryan, i am not sure what you mean by “self-contrived.” paul says, “it was not the man who was deceived but it was the woman who was deceived.”my point is that paul is not preenti g bare historical fact here, buyt rather is interpreting the fact to make a deeer point- for it is simply not true that athe man was not deceived. again, how is this self-contrived? Paul does not ground his teaching about women in the simple events of creation as reported in Genesis. The man WAS decieved, correct? Neither from the text of 1 Tim 2 or Gen 3 did you get that Adam was deceived. Yeah, that one baffled me, too, Christian. The thought is that the passage in 1 Timothy 2 referred to the home, not the church, since Paul referred to Adam and Eve when speaking on this topic. Adam and Eve were not church members, but instead an example of marriage. There are many examples of Godly women leading churches in the early New Testament times. When you look at it this way, it makes more sense that Paul meant within the context of marriage – men are the heads of the home, but all can be called to be apostles, evangelists, prophets, teachers, and pastors. God uses all of us equally within the environment of the church as long as we are submitted to Him, but within the context of the home, the man has the final authority and the woman is to submit. Again, I refer to this in love, not in a spirit of contentiousness. I have studied on this matter in order to come to a kind of peace regarding the apparently contradictory scriptures and have come to feel that this is the best explanation I could find that gave me peace. I pray God will bless you and I thank you for opening your hearts to us. (1)(A) I hope you’re not arguing that “no men [being] willing or able to pastor” makes it okay to sin and go against apostolic instruction as found in 1 Cor 14:33-35. Practically, in hypothetical, no-willing-men or missionary settings, it’s one thing for a women to point men to certain scriptures on doctrinal issues or encourage newly-converted men to lead in initiating group scripture reading and prayer, but it’s an entirely different thing for her to assume the head or leadership position and go contrary to God’s design and intention for femininity (1 Pet 3:4-6). (B) Regarding a “woman missionary” and whether she should “assume a pastorate in a country where she might be the only qualified person”, (i) her very gender disqualifies her from the pastorate, and (ii) we have no grounds for dismissing biblical commands for practical purposes. (2) Regarding the verse you quoted (Gal 3:26-28), Paul is dealing with our positional standing before God in Christ, not the functional or economic hierarchy he explicitly lays out elsewhere. Otherwise he’s directly contradicting himself about men being elders and women not teaching, etc., and this being based on the Trinity (1 Cor 11:3) and the creation order (1 Cor 11:8-9; 1 Tim 2:13). (A) “women should adorn themselves…with modesty” (v9) would be strange if he’s talking about around the house. That’s the one place where modesty isn’t an issue. My wife walking/laying around the house in little cotton shorts or hardly anything on is hot (enough said). Ain’t no need for modesty at home. But this is necessary in public. (B) “Let a woman learn quietly with all submissiveness” (v11) is (i) more of a group setting where teaching is going on, which was the typical activity in home-church gatherings, (ii) is consistent with Paul’s other church exhortation which was about church (“it is shameful for a woman to speak in church” [1 Cor 14:35]), and (iii) would contradict his other exhortation where the home is the very place women are expected to ask all their questions and are not required to be quiet (“If there is anything they desire to learn, let them ask their husbands at home” [1 Cor 14:35]). (C) “I do not permit a woman to teach or to exercise authority over a man” (v12). Paul’s choice of words here (“over a man”) is also strange if referring to the home setting. He would likely have said “over her husband” instead of the other. This should indicate that Paul means men in general, obviously being only in the church setting, rather than her sole man at home. Paul was simply using the creation order as part of his basis for this command. While I agree that a woman might be called to lead and teach in a missionary situation where there were no Christian brothers to do so, I don’t believe it’s God’s mind for it to be that way. Just as Deborah said the men would be shamed if they should follow a woman into battle, we (as women) should seek the Lord’s mind above our own. Certainly not the mind of current culture. You may look around and see what you perceive to be godly men and women submitting to this model, but look at the big picture of the Church in the world today, and see what foundational aspects of godly order are amiss, and the utter lack of testimony in the Church as a whole, (at least those of us in the United States) What came first, the chicken or the egg? Is the body of Christ weak, uneducated, and easily deceived? It certainly seems to be. We have so many diverse doctrines, rules, “positions” in regards to interpretation, that we have set aside what is really important. Christ Himself. At what point do you believe you have learned all there is for the Lord to teach you? I think we all need some humility in our approach to studying the Word of God, and try to remain teachable, rather than argue our points, and walk away with a smile, agreeing to disagree, because we don’t want to study the issue any further. I love to discuss Scripture, argue my points, and study controversial topics. But I pray that I remain at the Lord’s feet through it all, and let Him use me to plant seeds of truth, and a desire to search the Scriptures to see if what we are reading is so. I’m agreeing to disagree not because I feel I’ve learned all there is to learn, but because I am refusing to argue over something that is not going to keep me out of heaven or affect my salvation. Enough said. See 1 Corinthians 1 if you want to argue further. 1 Cor 1 doesn’t mean we undermine God’s word or the importance of obeying explicit commands. That chapter(s), or the passage to which you are referring, was about missionary and evangelistic content, not resolving doctrinal issues. Specifically though, while this is technically a peripheral issue, the underlying doctrine that supports it can, in fact, reveal a salvific issue. As in the case of those liberal churches embracing homosexuality or ordaining women elders/pastors, the foundation of the authority and sufficiency of scripture has been compromised and is itself heresy. I’m sorry you feel that women don’t belong in the ministry. God has certainly blessed my ministry and I don’t feel any form of condemnation from those to whom He has ministered through me. If I were not in His will, would it not show???? 1 Cor 14:34-35; 1 Tim 2:11-15; Isaiah 3:12; 1 Tim 3:1-7.
inductive fallacies and gross overstatements. She does nothing to overturn the explicit evidence in the references posted above. (1) Bringing up other possible issues doesn’t overturn the explicit assertions we do have. praying and prophesying (1 Cor 11:5), but also, in regards to teaching and exercising authority over men, that, “As in all the churches of the saints, the women should keep silent in the churches. For they are not permitted to speak, but should be in submission, as the Law also says” (14:33-34). (3) RE: “You’re focusing on verses without reading context”——Here’s Paul: “women should keep silent in the churches” (1 Cor 14:34) and “Let a woman learn quietly with all submissiveness. I do not permit a woman to teach or to exercise authority over a man; rather, she is to remain quiet” (1 Tim 2:11-12). There’s nothing out of context about “silent in the churches”. I apologize for the way I came across in my response to your post. It was snippy and uncalled for. I shouldn’t post when tired or grumpy, and I was both. No problem. I didn’t take it personally. We are all entitled to our opinions, and I love a good debate as much as the next person. I just wanted to let you know that it’s not my intention to lead anyone to believe I think I know it all; I do believe, however, in not arguing for the sake of argument itself. We could say that same thing with the Trinity Trisha. We could say the same thing with the New Birth and any other doctrine in Scripture. We could say “We’re not going to change each other’s minds, let’s just all love Jesus and forget all this doctrine stuff because we’re all going the same place and we’ll all have one great big laugh over it haw, haw haw”. The Scriptures being the inerrant infallible word of God, leads me to the logic that the angels are important in understanding this verse. Mother is doing her thing at home ( not at an office or other place of employment.) The very nature of a woman is to be concerned for the members of the family out there. She may even be over concerned !!! So she remembers the statements of Scripture that give us the reassuring promise that God has appointed angels to watch over us. Psa 91:11 He will put his angels in charge of you to protect you in all your ways. Why should a woman cover her head in church ??? You have all given reasons – but seemed to have lost the angels along the way. The head covering is weekly to remind mother that her loved ones are constantly under the care of ministering angels. Not a complicated theological statement but a very practical one. Wow, I never thought of it like that, but it makes sense. Neil, thank you for discussing where a wife’s place is – in the home. Even though I am not a mother, I am a head-covering Christian wife. I could no longer make excuses as to my disobedience to Titus 2:3-5 – specifically about being a “keeper/stayer at home” in verse 5. How can a wife “keep the home” when she is too busy with her job(s)? Or when she is off to college so she can have a rewarding career later on? How can she make dinner and clean the house when she is gone pursuing her non-Godly role of making money (see 1 Tim 5:8)? Absolutely there are exceptions, like true poverty or single mothers. But I’m talking about the majority of women who have husbands with decent jobs that need to trust God to provide for the family’s financial needs as she tends to the home. ESPECIALLY if they have children. I used to work full time just because I felt like it. Then I went into 2 part time jobs because I loved them both. My excuse was that we had no children. But I realized this as sin when the Holy Spirit impressed upon me the above verses. Now I am decidly a “keeper at home” and I LOVE IT!!!! http://mychristianchronicle.com/2010/11/09/essay-concerning-head-coverings-in-1-corinthians-11/ – I wrote a paper on this a while back – just so you’ve got another perspective on the passage. Very good article. Now I need to get out my study aids…. You make some very good points. One question, how do relate long hair “hanging down” having authority on her head. And, do you believe this to teach that a wife shouldn’t wear her hair up? Praise God for revealing himself to you in such a mighty way! I do agree that we women who cover ought to not keep this gift to ourselves and to share it with other women. But I disagree with stating that Jeremy (a man) should not teach this to women. There are obviously many male pastors (because female pastors are unbiblical) that teach women. And there are many men who come to this website, who ought not to be taught by women (1 Cor 14:34-35 and 1 Tim 2:11-14). This subject is sorely mis-taught or purposefully not taught by most of today’s pastors because it is so “controversial”. It has only become that way in the last 60 or so years. But for about 2,000 years this was common practice. That is why a man – led website like this one is so sorely needed. I would love to see, and totally support a women – led website for other women. But I praise God that He has moved Jeremy to start this “movement” and show just how many of us truly do take this passage seriously. At place in the scrolls where Paul uses a koine Greek imperatives (verb form, I Corinthians 7:6,13), the grammar supports intent; there is no “command” language at the cited text to bring the imperative form forward as to be a command. (Consider also how English grammar among us functions somewhat similar in this way.) Therefore, Paul is writing (at 7:6,13) of intention that the saints distinguish/judge how God (our greatest authority) gave woman the productive/natural bent to be covered/clothed in a way that man is not likewise productive/natural: her long tresses/hair; and-so that they/we distinguish what God has done for her. Yet for a covering that would represent the authority of man on/with her, the Greek text offers no imperative verb. A plain or traditional veil/cloth would not signify anything of genuine authority; it’s too vague in its form. Whose authority, if there is nothing to distinguish what she is wearing from various fashion? When in time it again becomes fashionable for a woman to wear a piece of cloth upon her head, what do we think? Consequently, her man may well and graciously give to her something distinguished of him to be joyfully placing upon her head. Similarly a woman, as a queen, would receive a symbol of authority. The thing need be unique and distinguishable sufficient for all to identify whose authority she brings upon her head. Hi Marshall, we made our case here http://www.headcoveringmovement.com/articles/is-head-covering-christian-liberty-or-a-command on why this passage is a command, rather than Christian liberty. A decade in traveling among small ekklesia, am perceiving how a woman with a covering upon her head is honored, while head covering as a “Movement” oftentimes yielding fruit of “mannequin virtue”, where women are covering because they perceive a requirement to do so, and consequently-with the life & motive of love recklessly subverted beneath a catechized “covering”. Few observing from outside their circle may perceive the genuine significance of the covering, not comprehending to whose authority would be represented upon their head. Also from the field, so often where head covering is retained as a distinctive and/or through a “movement”, an associated schism lags not far behind in time. Its simlpy her hair. Look at the conclusion. “Her hair is given to her as a covering”. Despite cultural trends of that or any age, why follow man, the conclusion is what counts. What do you mean look at the conclusion? That’s not the conclusion. The covering of hair is pointed to as an example of a natural form covering, analogous to shows us that even nature teaches that it is more proper and fitting for a woman to be covered as hair practice shows. So Paul is using hair as an example to reinfoce the teaching of The other covering by saying “even nature teaches you” he didn’t say nature provides the substitute but teaches you. So if it teaches you it teaches you something and a teaching is meant for us to follow. So the natural hair teaches you us something it doesn’t fulfill it. Its not just hair, its meant to be long hair for a woman…hence the contrast with men. I agree with complimentarianism. But if the application of faith is essential, specific, and absolute, then faith is irrelevant. Obedience to a law is not fruit of faith. For instance, if I love my wife, that does not mean that I must return home each day with a bouquet of flowers, even if she thought this was the only way to love her. But love reveals itself in so many ways, and just is so – Love is the greatest command! Jesus did not trade the Old Law system for a New Law system; rather He fulfilled the Old Law to make way for the substance the shadow (Law of Moses) represented. Give no offense either to Jews or to Greeks or to the church of God; just as I also please all men in all things, not seeking my own profit but the profit of the many, so that they may be saved. Be imitators of me, just as I also am of Christ. From this context, Paul’s concern approaching head coverings was that of a social conformity to cultural customs for the sake of the gospel. The verses prior to the ones I just presented had to do with eating meat sacrificed to idols in the presence of a weak brother – and to refrain from eating it if were to cause offense all for the sake of the gospel. Mr. Gardiner stated that while I do not “marry principle and symbol together,” I must remain consistent in regards to what Paul stated only verses earlier. Paul contends, therefore, that the application of head coverings in a social norm that would otherwise be considered it a hindrance actually distracts from the substance of the gospel. Paul skillfully shows that while there is both equality and subordination in the Trinity, there is likewise both equality and subordination in the marital unit. The Father is the Head of Christ, and though Christ is co-equal, He submits to the will of His Father. It is the ontological nature of God, and thus the created ontology of marriage. But let us assume that head coverings were a command of absolution. Indeed, German men, as is their standard of decency to wear a head covering, would have to be bareheaded, and thus the spreading of the gospel be stigmatized in their culture. Even the High Priests of God of the Old Covenant covered their heads as commanded before entering the Holy of Holies and into God’s very presence. Hi @aaron_gilmore:disqus, thanks for the response. If we eliminated the chapters and verses we’d see that the beginning of verse 2 ” Now I commend you…” provides a transition in topic from what was previously discussed. It’s the start of a new topic. We know he’s not speaking about social customs because of what he grounds his arguments in and what he argues from. You said that obedience to the law is not a fruit of faith, but Jesus does say that obeying him is a demonstration of love towards him (John 14:15). So I wouldn’t agree with the sharp contrast you’ve made between faith and obedience. True faith, motivated by love for the Savior will always produce obedience. If this command is not a custom and is a principle, then the direct extension of the character of God as manifested in the perfect Sinaitic Law of Moses is in contrast and the High Priests, as I aforementioned, were in sin for having their heads covered with the tallith when in the presence of God. Indeed, Christ Himself Who wore the tallith in prayer as was commanded in the Law would also be in sin. Further, in verse 6, Paul uses hyperbole to state that if a woman is not covered that her head should be shorn. Now, if we were to stay consistent with your method of exegesis, we would have to either have our wives cover their heads in church, or those who refused be urged to shave their heads? Of course not. Paul is giving an absurd sort of scornful inference and a reference to the disgrace that an adulteress would receive as part of the Law (Dt 21:12) emphasizing the principle of the system of authority as God rendered it. Finally, if the head coverings were a command, then so would it have to be with the “holy kiss” (Rm 16:16; 1Co 16:20; 2Co 13:12; 1Th 5:26; 1Pt 5:14). Both Peter and Paul urged the first-century church to greet each other with a holy kiss. Was this injunction intended to be an abiding feature of Christianity? Even the practice of washing feet was not significant of itself without the context of the humility and forgiveness principle. I find it interesting how this site refers to the “command” Paul gave to men in the context of only the ante-Nicene New Testament Church. But what of the Old Testament Jews? How would you answer that question, I wonder? Because if what Paul is saying to the Corinthian church is a principle and not only a custom, then we have subjugated those in obedience to the Law and even the Law itself to sin to that extent – a direct contradiction to James and even Paul who claimed the Law’s perfection (Ps 19:7; Rm 7:12; Jm 1:25). I will not add to this discussion by teaching, as that would be contradictive to The Bible as a woman. But I will say that covering my head is a blessing, an honor, a joy, a pleasure and AN EASY THING to do. Just as easy as it is for a man to uncover his head, as is still common in today’s culture. Then you are abiding in Christ in your covering, Julie. I hope you and anyone here do not mistake my rebuttal to mean that I am against head coverings. Rather, I am against elevating the symbol as if it is absolute for all generations. If you wear a covering, do so unto the Lord. If you do not, do so unto the Lord! One person regards one day above another, another regards every day alike. Each person must be fully convinced in his own mind. He who observes the day, observes it for the Lord, and he who eats, does so for the Lord, for he gives thanks to God; and he who eats not, for the Lord he does not eat, and gives thanks to God. For not one of us lives for himself, and not one dies for himself; for if we live, we live for the Lord, or if we die, we die for the Lord; therefore whether we live or die, we are the Lord’s. I would never attempt to revoke your conviction and thus cause you to sin! My only contention is with imposing that conviction to the level of doctrinal authority. Keep up with your fruit, and blessings, sister. Problem with the application of that verse is that youbdont have other verses instructing the saints to observe a particular day or eat a certain food and so it is truly left open. But concerning the veil you do have a particular instruction. So that is a inappropriate and false way of proceeding. But to your last question, head covering is a new covenant ordinance. Believers under the old covenant were not obliged to keep it since it hadn’t been given to them. Lots of rules are uniquely new covenant (like rules for exercising spiritual gifts, plurality and qualifications of elders, law concerning divorce/remarriage, baptism etc.). With respect, not one of the actual New Covenant ordinances contradicted the Law of Moses. For how could it, being perfect? You add to the Scriptures when you add to the Law a man-made tradition, or do you not remember the rebuke Jesus gave the Pharisees for the same reasons? But based on logic, there is nothing you could say that would make this ordinance absolute to all people of all generations and times and not contradict the perfect Law of Moses. It wasn’t just the gifts that weren’t given before the New Covenant; it was the Spirit! The Spirit fell on only specific people, and not all believers. On the feast of Pentecost after Jesus’ ascension, the Spirit fell on thousands. Gifts were given when the Spirit was given. Custom (gifts) fulfilling the principle (Spirit). But Israel had head coverings before the New Covenant, so this doesn’t relate. Actually, this never changed and was merely reiterated. It’s application was the only change, whereas instead of temple priests we have pastors/bishops, or deacons/elders over the gentile and Jewish body of Christ. But these qualifications existed even during the Old Covenant. Again, this also never changed. This was added to the Law specifically because of the hardness of Israel’s heart. I’m sure you remember Jesus saying just that. Divorce was allowed, but not within the perfect will of God. Even today, divorce is the same. Jesus did not bring about a new law in this regard, for if He had, He would have not been following the Law to the letter and thereby not be the promised Messiah Who came to fulfill the Law. Even this was included. This is why when Jesus was baptized, He said it was to “fulfill all righteousness” (Exodus 29:1-7). Jesus had to be baptized so that He could take the priesthood by the order of Melchizedek (Hebrews 6-9). Notice the New Covenant does not start at Matthew, but rather starts at the Resurrection of Jesus Christ. Some even argue that it started at the giving of the Spirit at Pentecost. Now, unlike the Spirit and the gifts, Old Testament Israel had head coverings. So why was this ordinance not given? And why, when the ordinance was given (supposedly), did it directly contradict the Law of Moses?